Exclusive power bank LawMate PV-PB20i with hidden camera, remote internet connection and perfect camouflage. Powerbanka PV-PB20i is another top product of Lawmate, which we exclusively represent on the Czech market. It has perfect camera and microphone masking. all control elements are hidden inside. Thanks to this, powerbank is completely inconspicuous even in closer examination. A novelty against previous models is the ability to connect to powerbance over the internet. Remote access via the Powerbanka mobile application features a 2.4 GHz WiFi mobile phone that allows remote online access to both camera shots and stored records. You can download the logs through your mobile app to your mobile and then play them back. The application is freely available for both Android and iOS phones. Precise masking All microSD card slot, USB port and more are perfectly hidden, and there is nothing to be seen on powerbance. Thanks to the fact that the power bank is equipped with a special WDR camera, it also records in a much better quality than most other spy cameras in dim lighting conditions (shadow, sunshine, etc.). 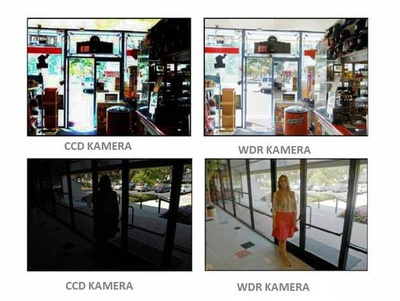 The WDR camera automatically adjusts to any change in lighting conditions.